People in Lee Green have the chance to say what they like about the area and what they don’t like. They’re also being asked what services and activities they would like to see in the area, in particular those that can be supported by voluntary and community groups. 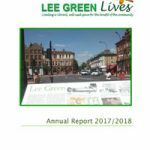 Make Lee Green even better is a new survey organised by Lee Green Lives (LGL) community group with support from our partners. In the next few weeks we will be knocking on doors in housing estates run by Clarion Housing and Lewisham Homes, asking people questions aimed at helping develop new or adapt existing activities or services. The survey is open to all Lee Green residents, so anyone who wants to take part can go online or pick up a copy at Manor House Library or Lee Green Community Centre. We also welcome thoughts from people who work or play in the area. Lee Green is a vibrant area with a vast potential, but it lacks some key services needed for local people. Taking part in community activities helps people develop new skills, make friends and lead a healthier and more fulfilled life. But many local people need advice and support to help overcome hardship and, without support, some cannot take advantage of existing resources such as parks, library and community centres. The survey is supported by Lee Green Consortium, 16 groups and organisations that play an active part locally. Some of these groups banded together over two years ago, with more joining since, to form the Consortium in the belief that strength in numbers was the best way of ensuring their work survives in the current climate of cuts. The Consortium is facilitated by LGL, who recently won a contract from Clarion Housing, the ward’s biggest social housing provider, and this month were awarded a grant from Lewisham Council. Until now, much of their focus has been channelled through the Local Assembly, but with the cut in the Council grant to the Assembly, there is now an even greater need to work together. While the Consortium will continue to report to the Assembly and build on its achievements, they recognise that many people haven’t the time or energy to come to meetings – and in some cases don’t even like big meetings. And that’s where the survey comes in… as it increases people’s say about what’s important to them and what goes on in Lee Green. 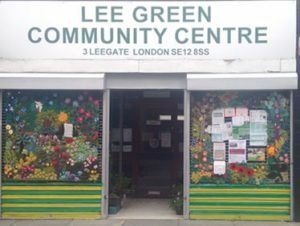 And it will help Lee Green Lives itself prioritise how it runs the Leegate Community Centre. The results will also be used to involve residents across the ward in determining local priorities, and then in developing bids to support these.